Looking to have more fun on your next camping trip? These DIY camper tricks will give you the best camp setup ever! Camping is the perfect vacation. You’re surrounded by nature, you end the day by a campfire, and you eat delicious camping food. It doesn’t get much better than that! 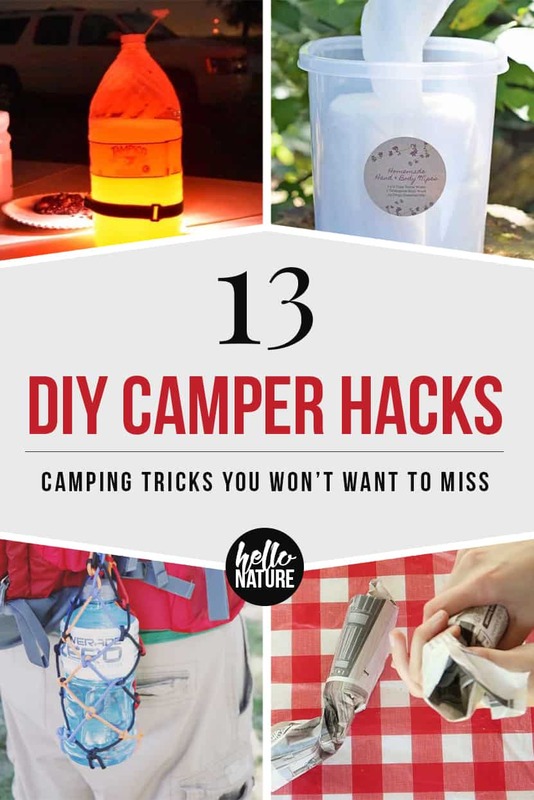 But we’ve found that over the years, a few DIY camping hacks can make a good camping trip a great one. One of my favorite camper hacks is when we made our own fire starters which saved us a ton of time and frustration on those relaxing nights spent under the stars. Luckily, there are even more DIY camper tricks just like that one. And we’ve compiled a list of some of our favorites today. 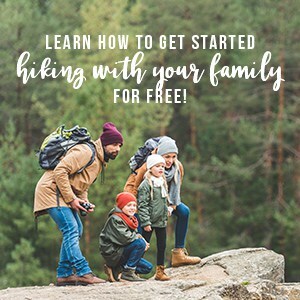 We hope these camping ideas for families help you hack your way to an even more enjoyable camping trip! Camping is Intense DIY Camping Shirt on Sisters, What! DIY Camping Lantern Hack on What’s Up Fagans? This is a great camping idea for families. It keeps the kids and adults occupied while sitting around the campsite. It’s such a fun way to take in nature and play a game. Nothing is worse than camping in the middle of nowhere and finding out you’re missing some essential camping item. This camping survival kit has you covered. It’s got essential camping items like first aid items, dish soap, hand sanitizer, a flashlight, and the almighty duct tape. Always have your water bottle handy and still have both hands available for your S’Mores and other campfire treats! Plus this frugal camping hack is also great for hiking. Looking for fun things to do at your campsite? These DIY painted walking sticks are a great DIY camper trick. It gives the kids a fun project to find sticks and paint them for the trip. Here’s another great DIY camper trick. Bugs are one of the downsides of being out in nature. Unfortunately, most commercial bug repellents are full of chemicals that aren’t great for your body. Go natural and make this essential oil based bug repellent. This is another simple DIY camping project. Glow in the dark painted jars will light up your campsite. Adults and kids will love this one. Bonus! It’s only a few simple materials. We tend to keep some of our old clothes and designate them for camping. This thrifty camping idea will let you make your own camping shirt! Sometimes kids need to burn off some energy. This project using pool noodles will let the kids safely duke it out. I bet the adults will play too. Now you can have your own version of American Gladiators at your campsite. Showers can sometimes be scarce while camping. And no one wants to smell like the great outdoors for too long. These no-rinse body wipes are a great way to refresh between showers. I never seem to be able to get my sleeping bag back in the bag it comes with. These paracord sleeping bag ties are an awesome DIY camper trick to quickly secure your sleeping bag. These homemade camping lanterns are an awesome upcycled summer DIY camping projects. 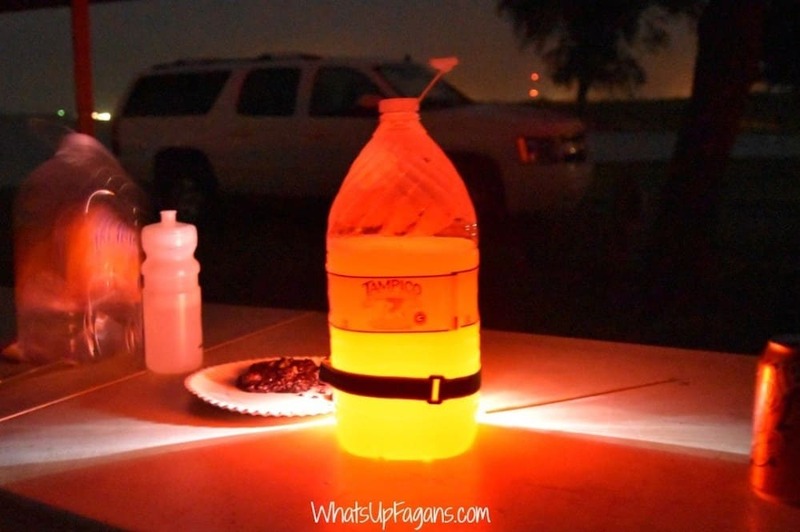 It reuses old bottles to help light up your campsite. I love walking around campgrounds and seeing how everyone has personalized their campsite. These personalized camping chairs are a super fun thing to do at your campsite. Now you can customize your own campsite. I hope you were able to find some fun things to do at your campsite with our DIY camper tricks! I’d love to know what your favorite DIY camping hacks are. Get everything you need for camping with kids in this shopping guide! Want to remember these camping hacks? 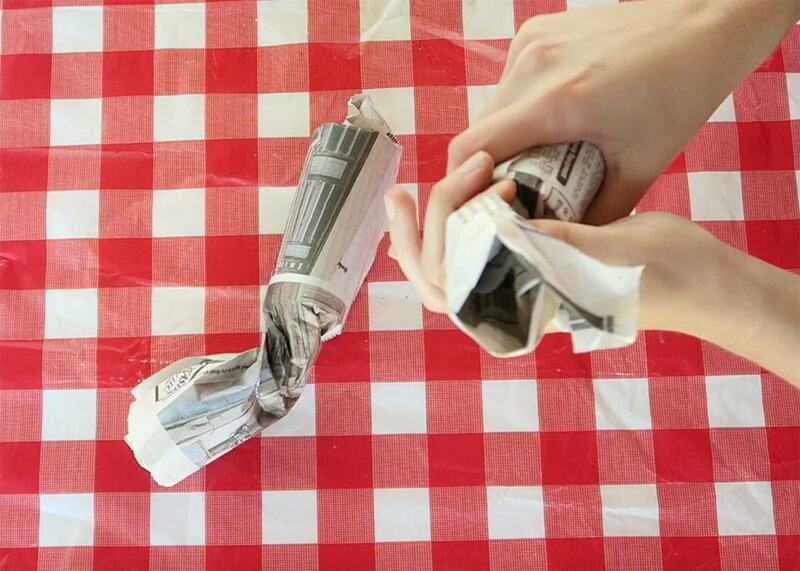 Post these camper tricks to your favorite Pinterest board! Thanks so much for sharing my camping wipes! So many awesome ideas, it’s got me ready to get out there!